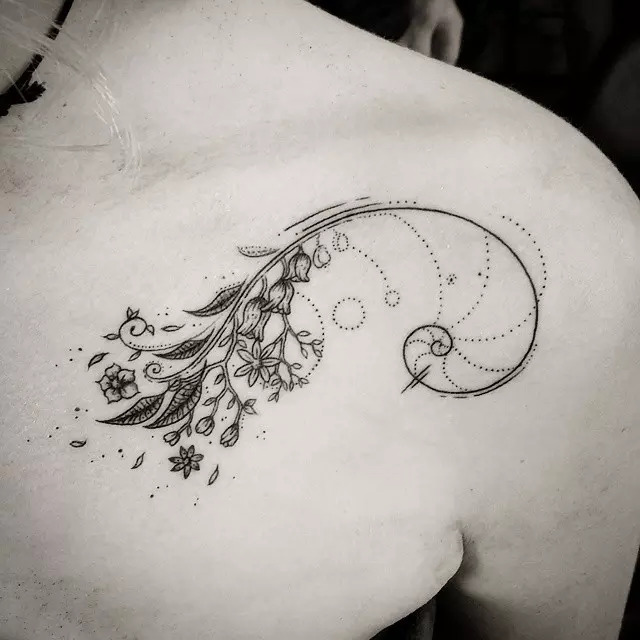 Tattoo is one of the oldest forms of art and it has been practiced for hundreds of years. 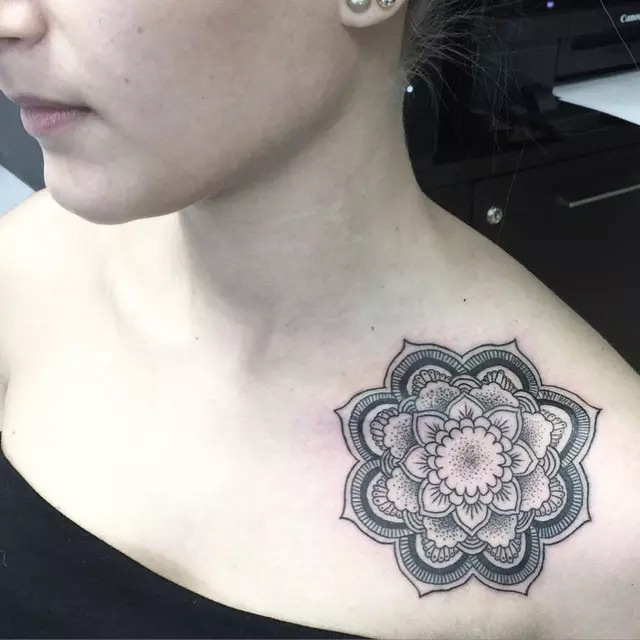 Today, tattoo designs are becoming more and more popular, especially among the youth. 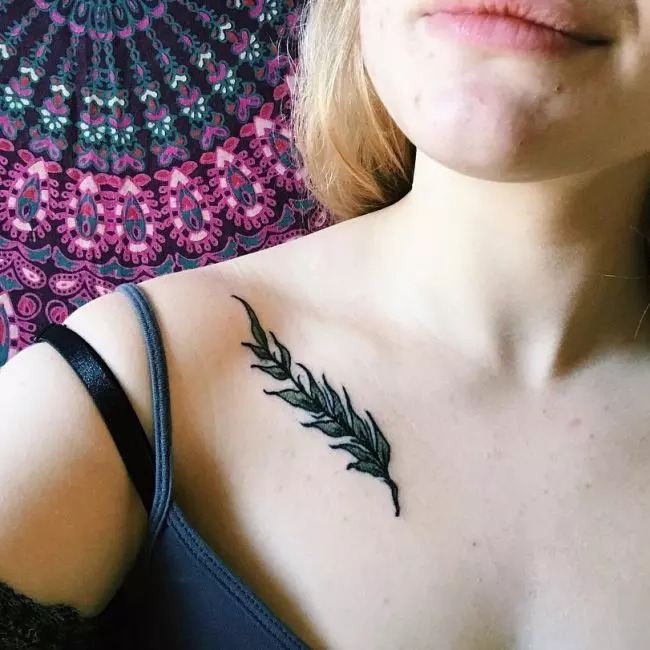 Tattoos have become a symbol of fashion, so you can see people with tattoos around the world. 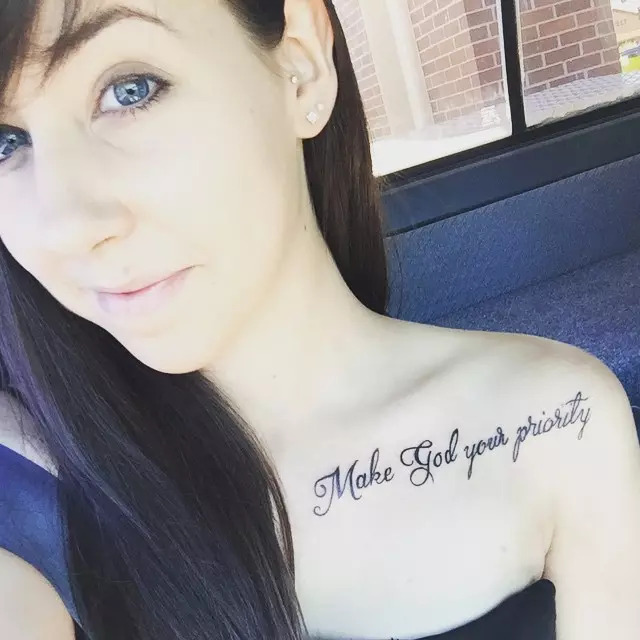 Tattoos can be placed any part of your body. However, some body parts are extremely popular for tattoo lovers. 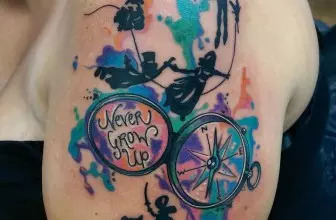 Today, lots of girls and boys wish to get tattoos on their collar bone. 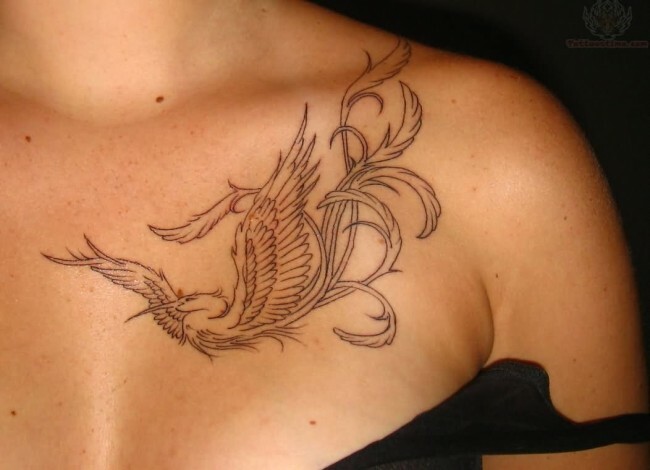 Endless styles, ideas and designs are available for collar bone tattoos. Tattooing on collarbone is very painful because the needle hit the bone directly. 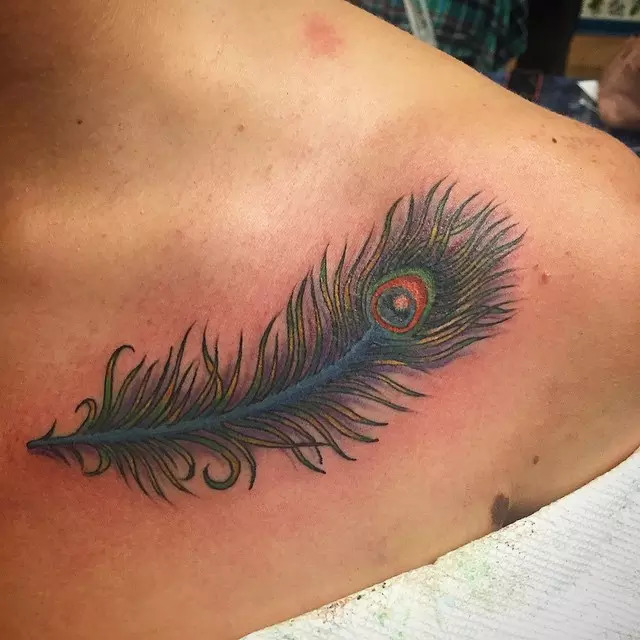 But, thousands of tattoo enthusiasts come forward to get a tattoo design on their collarbone. So, pain is not a deterring factor for them to get a nice design on their collarbone. Graceful collar bone designs range from full chest designs to delicate and dainty wording. Some prefer to make a statement on this place. But, some others select this area to make an artistic statement. 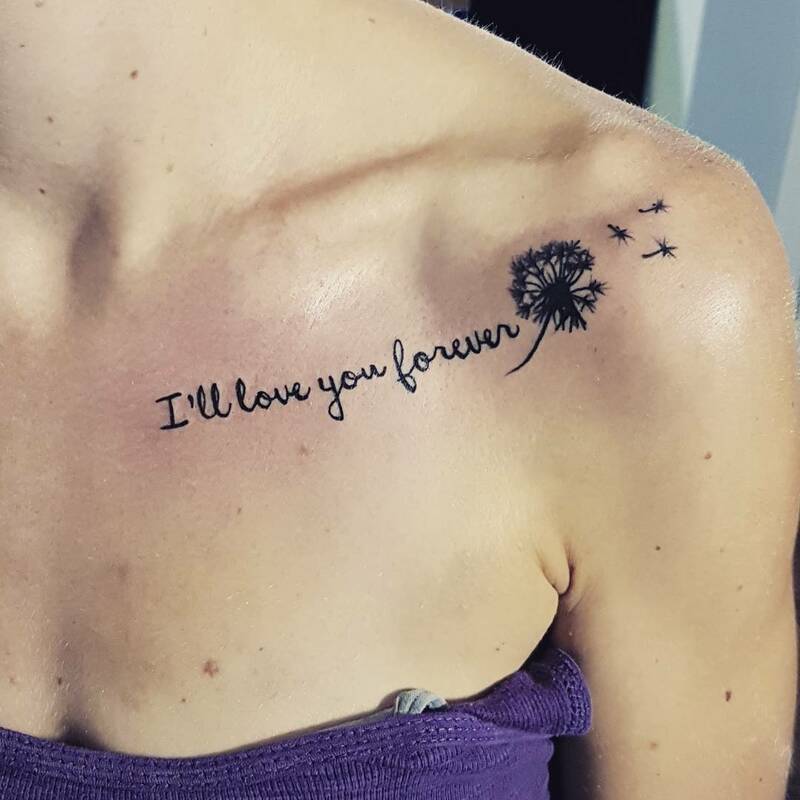 Portraying sayings or words in a number of fonts and detail level is the most popular collarbone tattoos. Both men and women bravely wear phrases or motto, which are meaningful or inspirational to them. You can design an extravagantly detailed sayings or a single word. 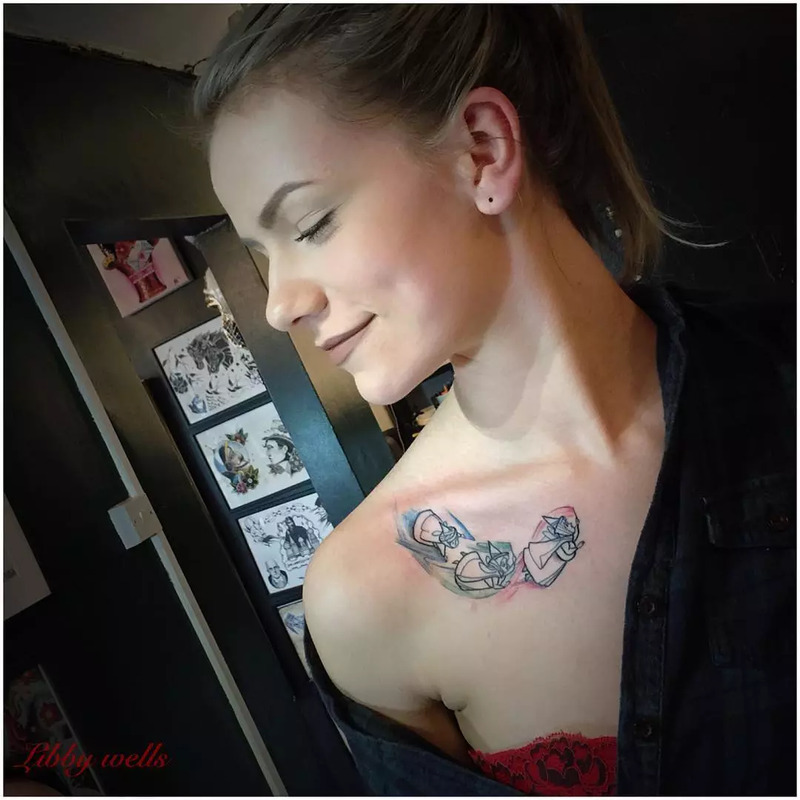 Here is an analysis of types of collarbone tattoos. 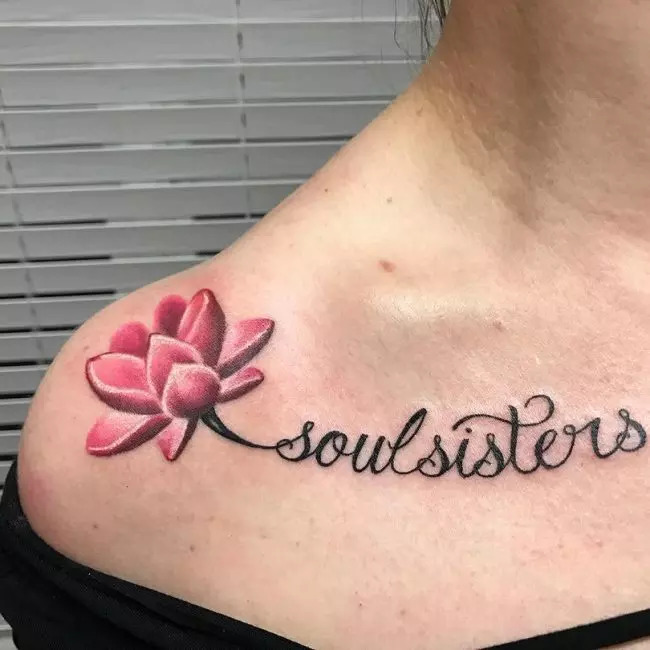 These tattoos are designed in ornate script and they enable you to show your true colors and beliefs through the phrase you select. 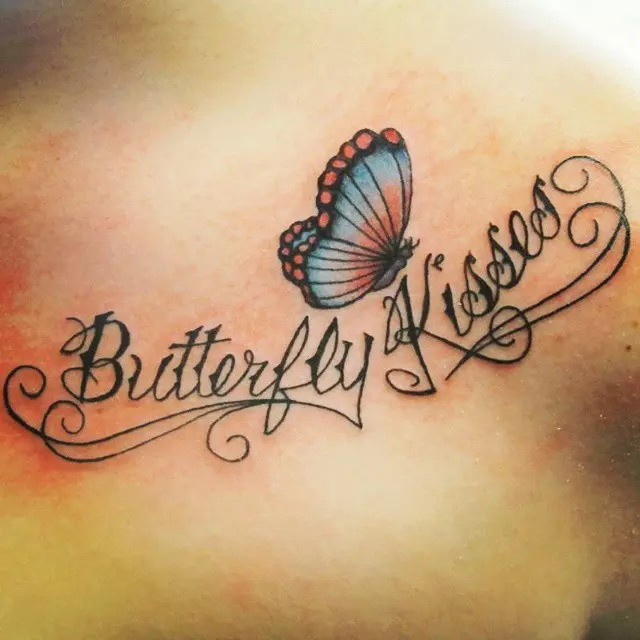 Mostly, collarbone phrase tattoos in script are designed by using simple black or grey ink. 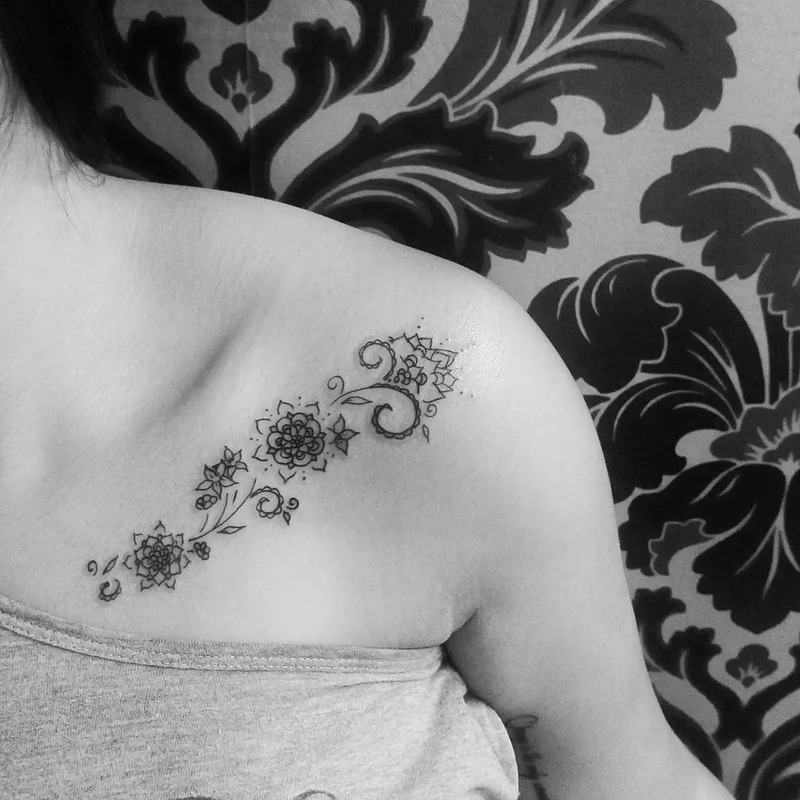 Generally, these script tattoos are centered across the chest and they sit directly under your collarbone itself. 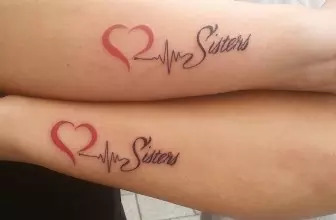 Though these script tattoos are very simple, they can be highly expensive. People generally use their collarbone to share something about their selves with the world. Detail is a must for these tattoo designs. Therefore, you should select an excellent artist who is able to do very good line work. 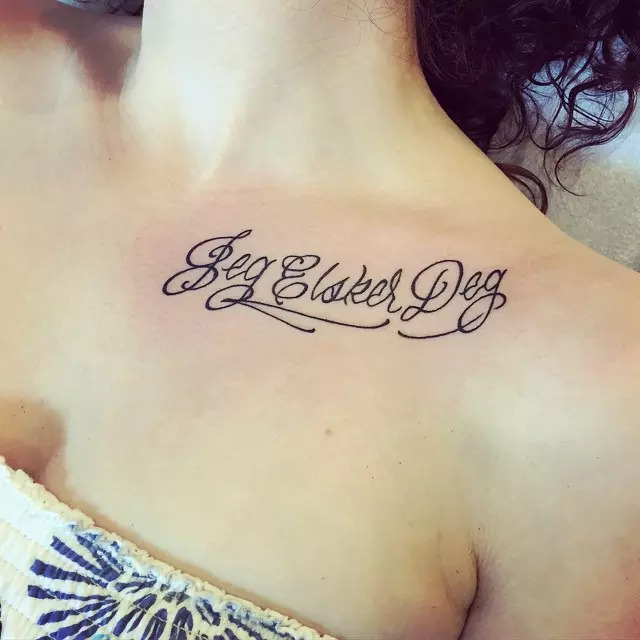 Females prefer to adorn their collarbone with phrase or word tattoos. You can also select delicate and less detailed phrases or words. These are designed in smaller size with less detail. 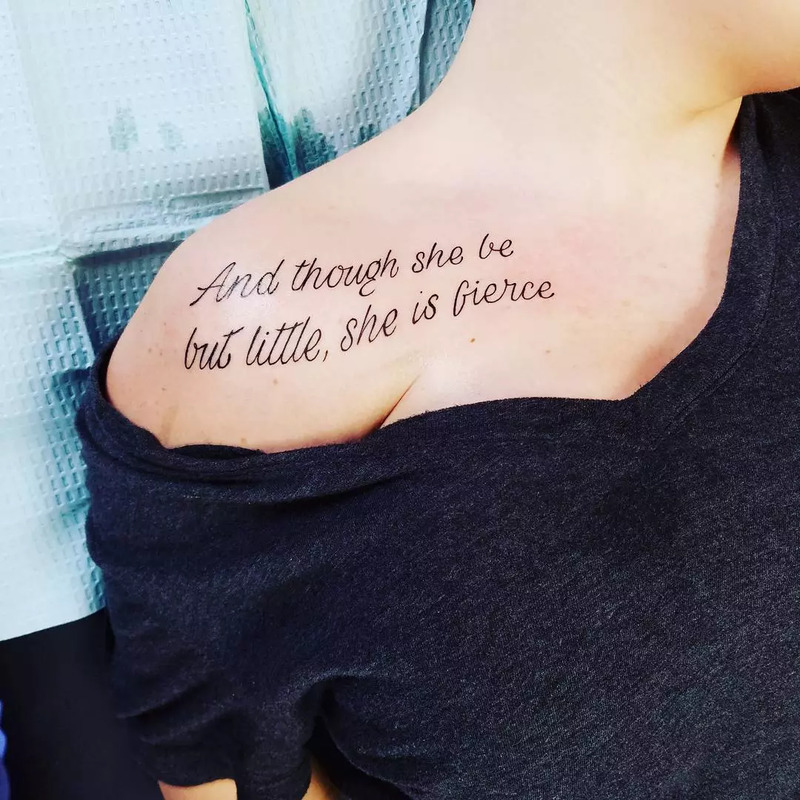 Compared to script tattoos, the delicate font tattoos provide you more freedom in size and fonts. The artists will have a collection of myriad fonts. You can select the exact one that you really want. 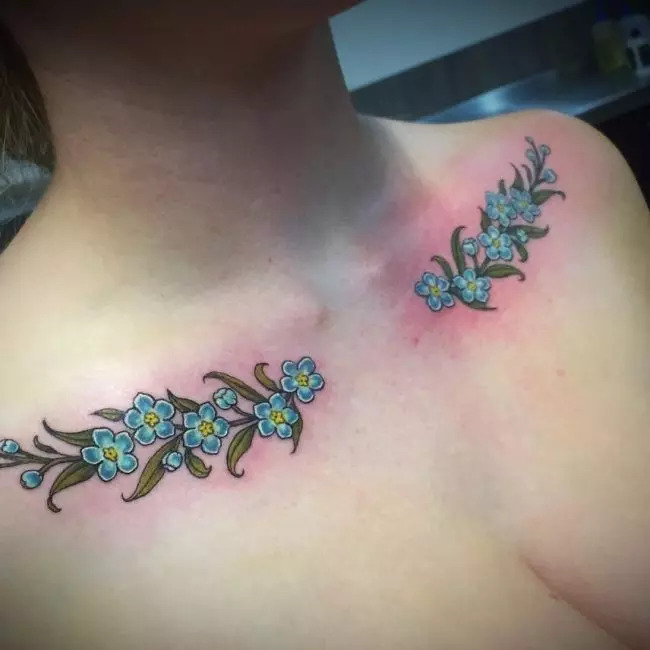 Even though these dainty tattoos are placed on your collar bone, it usually varies. You can place them centered across your chest under collarbone. 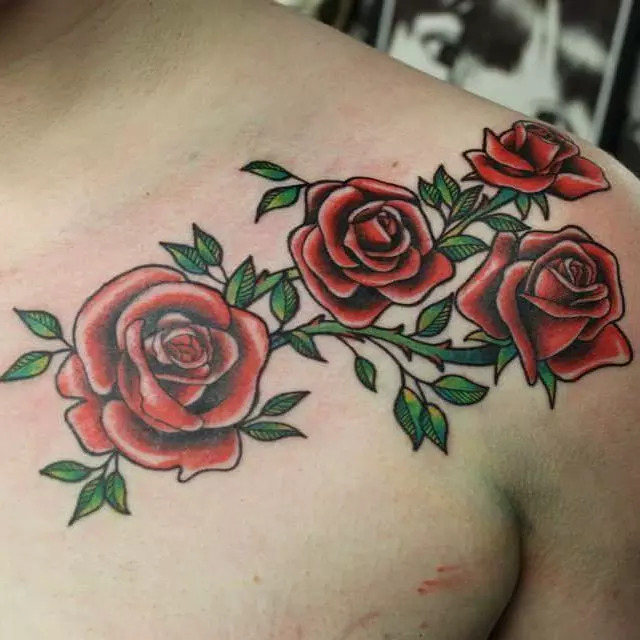 Compared to traditional script tattoos, these tattoos are more expensive. 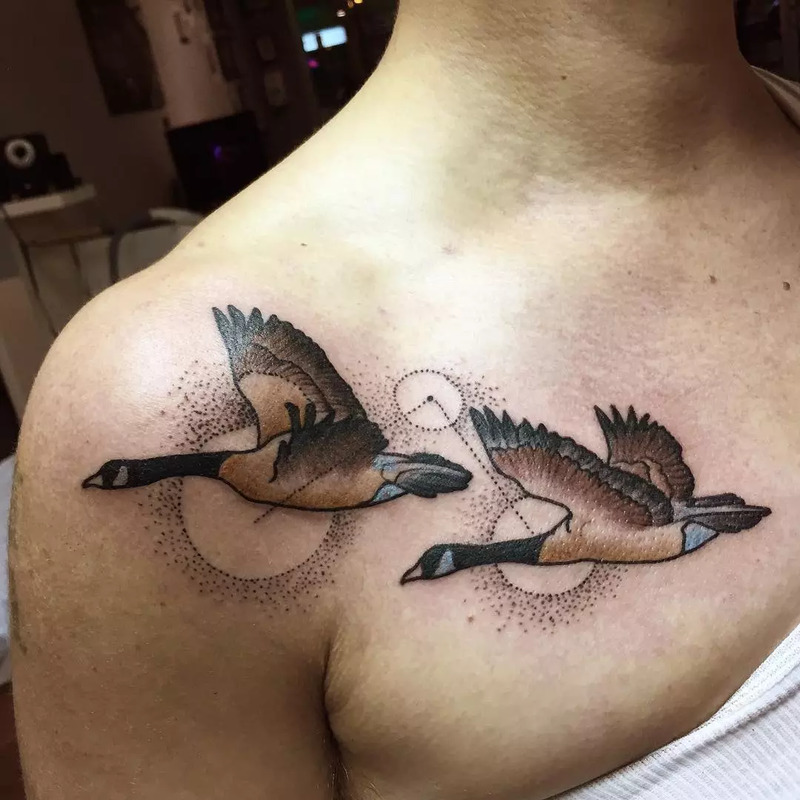 It depends on the expression of artists and how these tattoos are laid out. 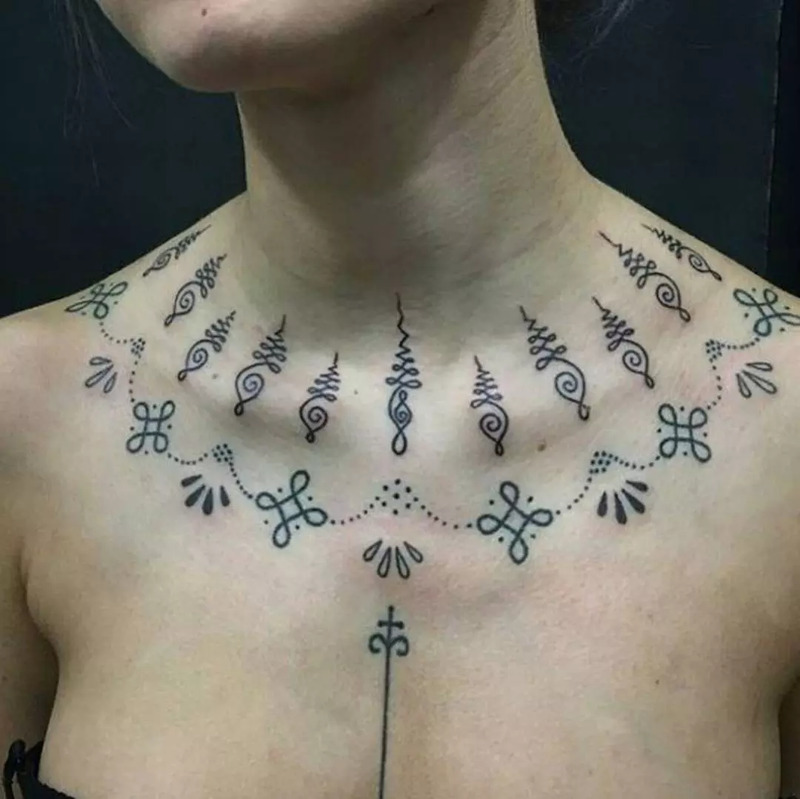 You can also place collarbone tattoos in unsymmetrical or irregular positions. 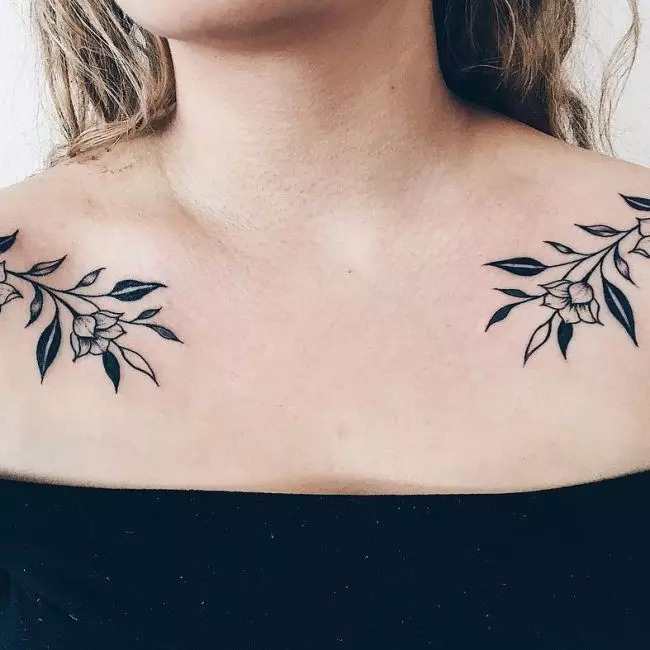 These tattoos can also be placed above, below or over your collar bone. 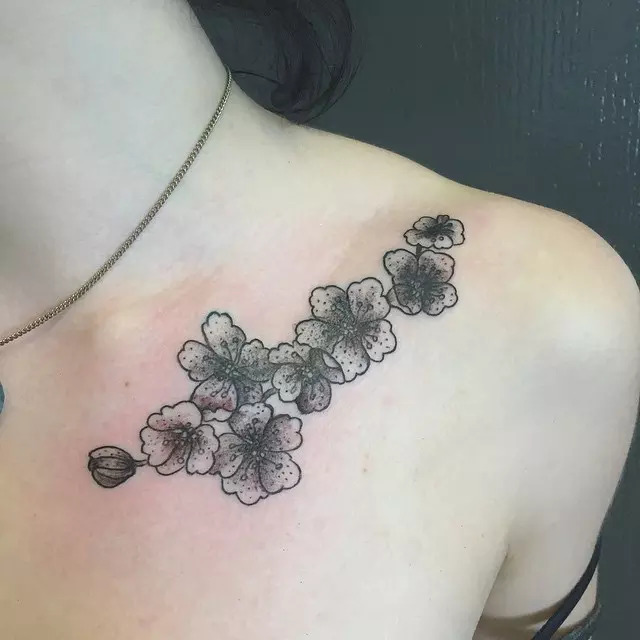 You can place your collarbone tattoos in any place, where you think aesthetically pleasing and depending on the efficiency of your artist. Collarbone is a great place for writing phrases and quotes. 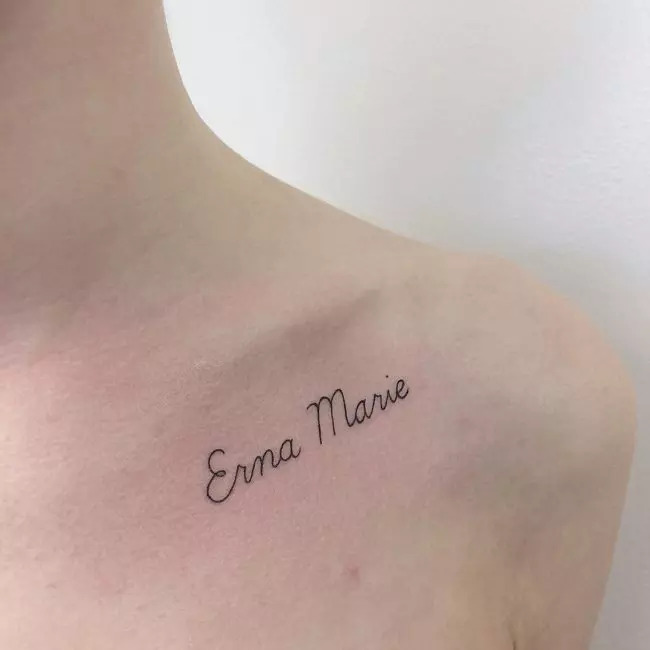 But lots of people prefer to write just one word on their collarbone. They select the words that inspire or strengthen them most. Single word on collarbone can motivate and remind the person who wear it. 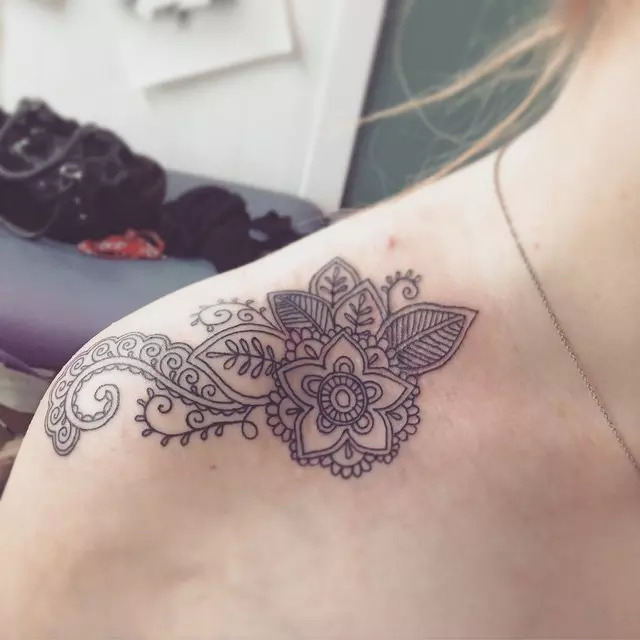 Mostly, women select these types of tattoos on their collarbone. But, they may select something that covers their whole chest. 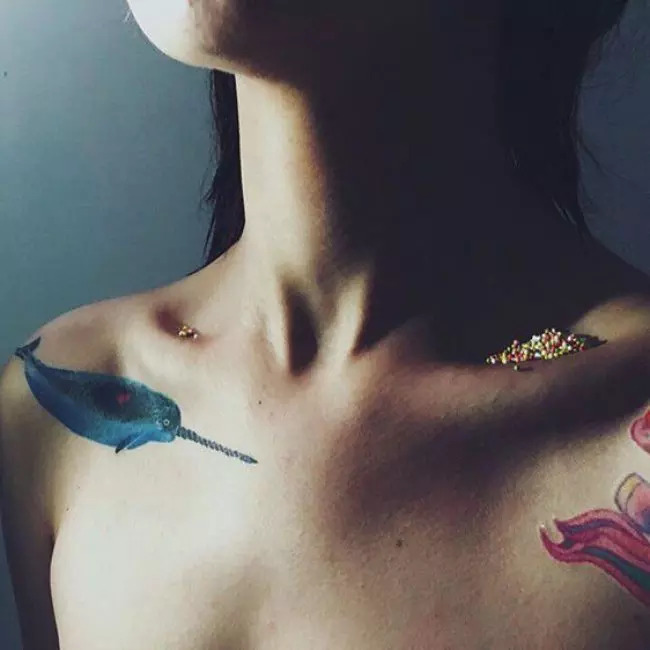 Lots of women select cute and tiny tattoos and placed them strategically on their collarbone. 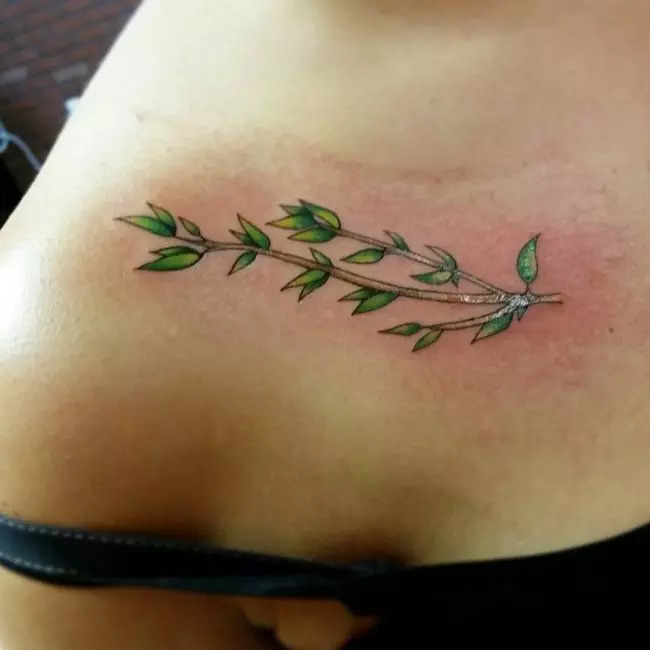 These types of tattoos add sexiness to the already sensual body part. 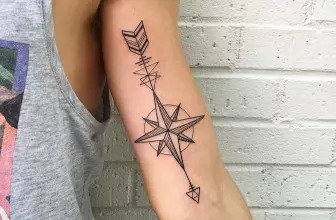 These tattoos are wordless and they can range from single images to a group of small tattoos. You can select stars or hearts for your collarbone. Portraying bats, birds and music notes is very popular today. When you tattoo these symbols on your collarbone, they provide you a great sense of movement, which matches the flow of your collarbone. This is the reason, collarbone is becoming highly suitable for women. 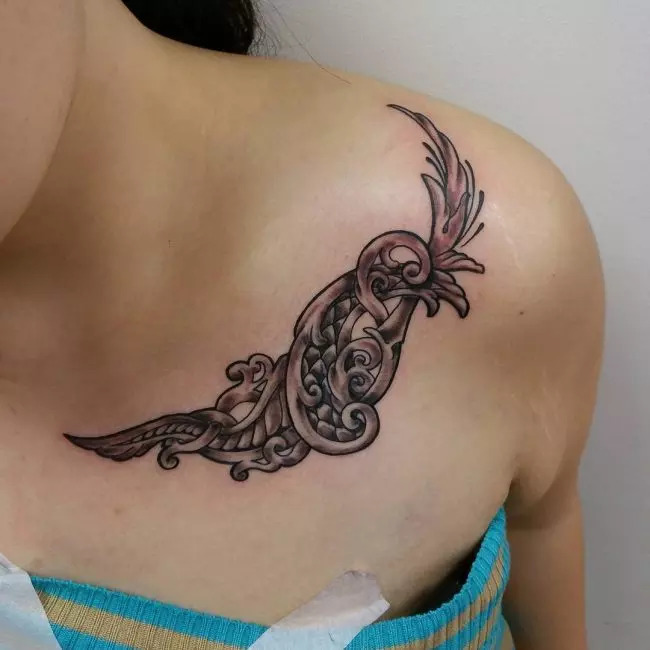 This is another traditional style of tattoo on collarbone. The banner can be portrayed with or without words. Though the banner tattoo is traditional, you can easily personalize it. Some like to design scrolling banners across their chest. But, some others prefer to get an intertwined banner. 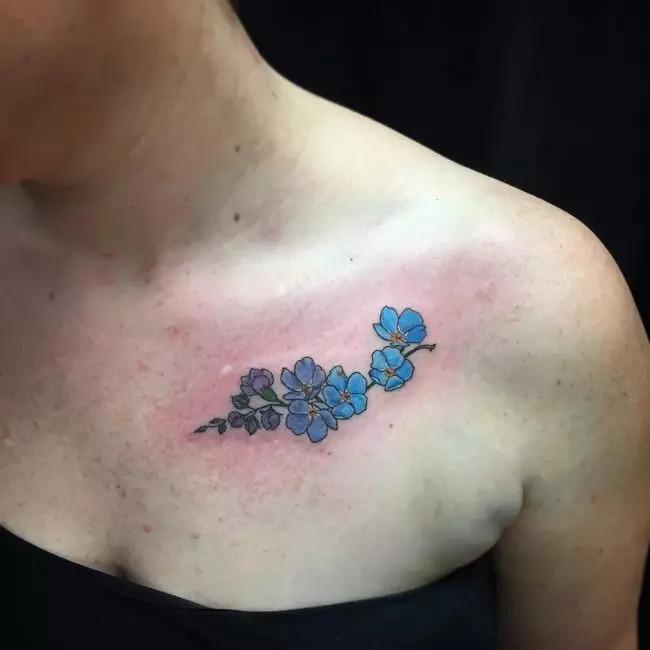 These types of tattoos include dates and names in memorial of someone special. This symbol represents the love of Jesus Christ and it has been a staple in tattoo community. Those who love Sacred Heart prefer to get it directly on or below their collarbone. 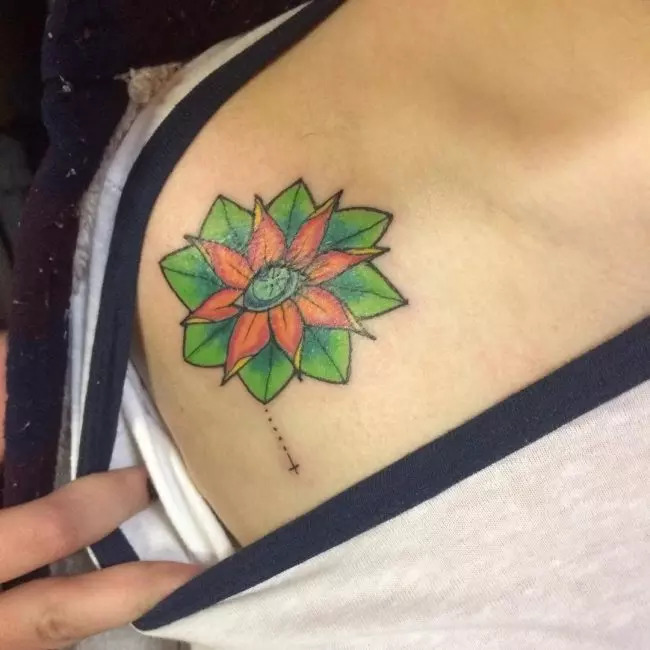 It is connected with the personal belief of tattoo wearer. The tribal patterns are considered as the manliest tattoo types. These can be extended across your chest or runs down the arm. It can start at the top of your sternum and extended across your collar bone. These are chained together to create a big impact. Celtic mazes, Celtic spirals inspired by druids, trinity symbol, etc are common Celtic knot symbols. 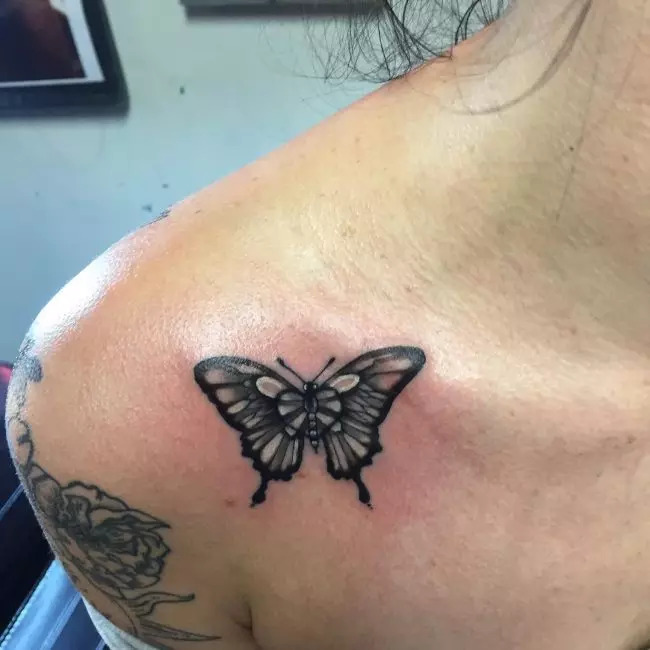 These types of tattoos have been in the collarbone trend for many years. People believe that the coffin symbol is associated with mortality and it reminds the wearer the shortness of life. Coffin is decorated with traditional style roses or wings. 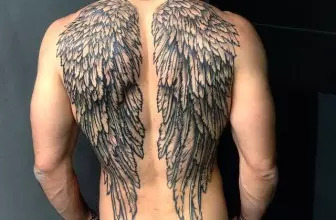 These tattoos can cover the entire area of your chest and they can be extended to your neck. 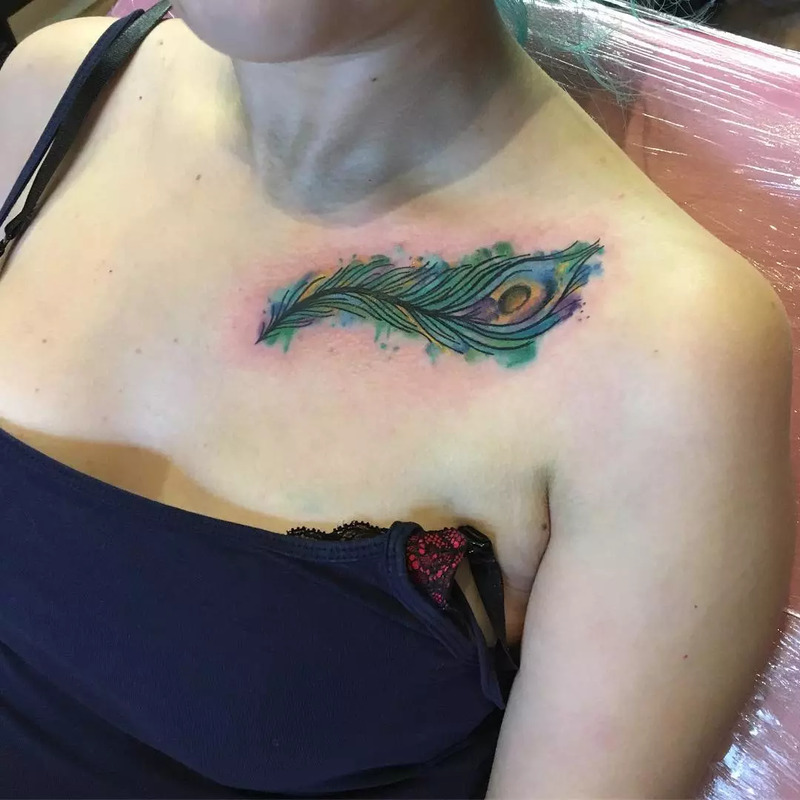 It is very difficult to distinguish some collarbone tattoos because they cover more than just your collarbone. 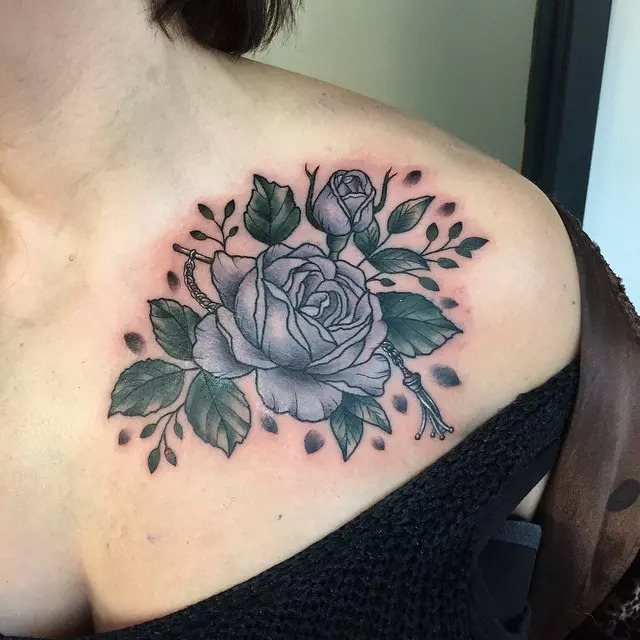 Just like the other tattoo designs, collarbone tattoos can also be portrayed in grey, black and color. 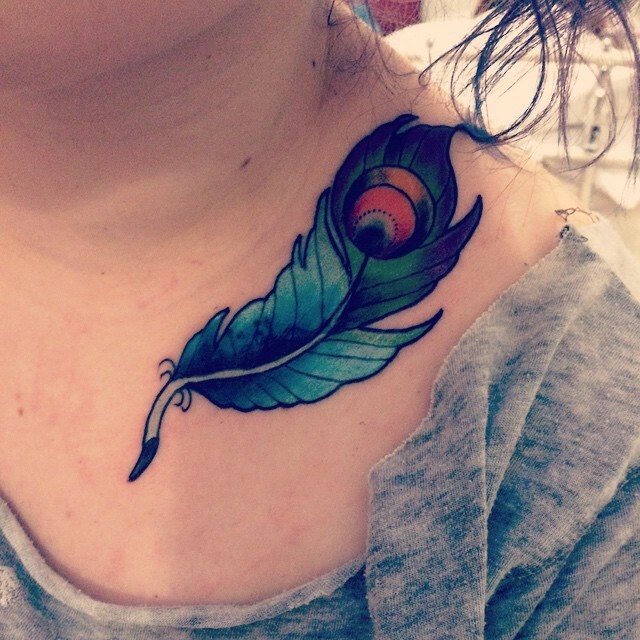 Collarbone is a preferred choice for those who want to convey a message through their tattoo design. 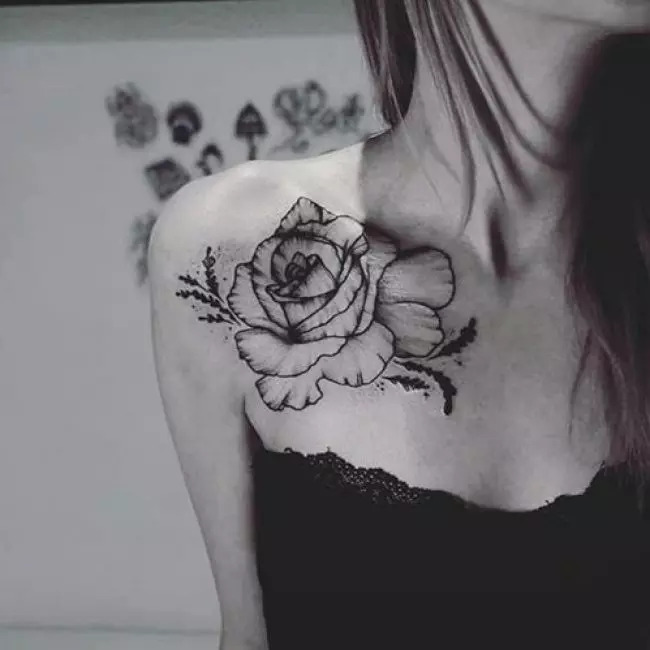 But, huge tattoos on collarbone can be extremely painful. So, different sessions are required to complete it. 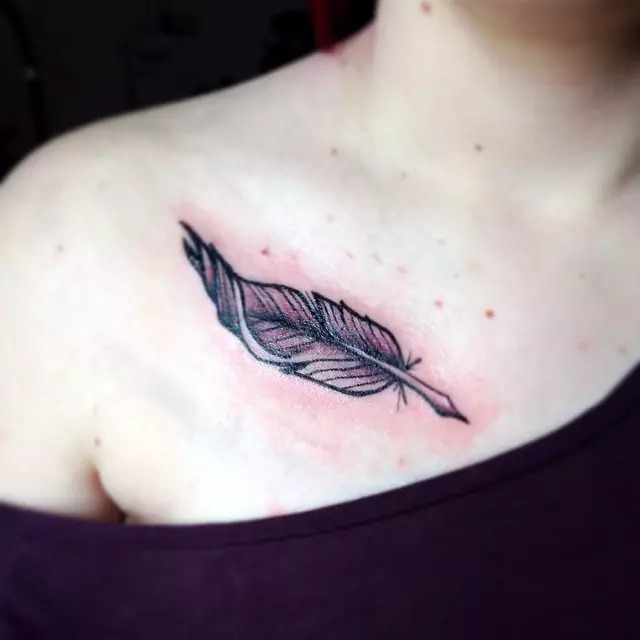 Before approaching a tattoo artist, you must be aware of the pain involved in a collarbone tattoo. 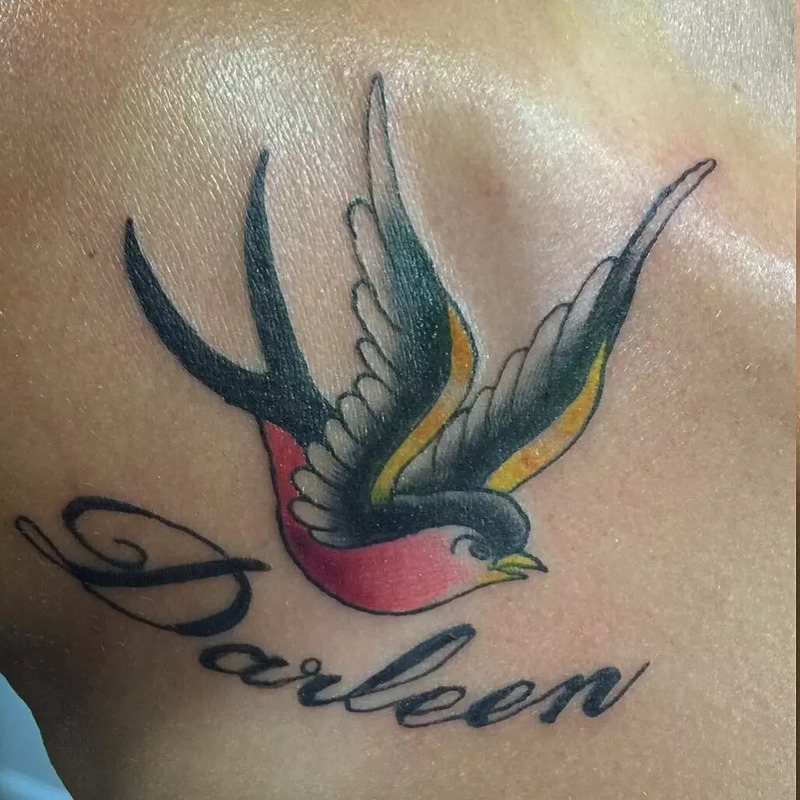 The cost of the tattoos depends on the tattoo shop and efficiency of artists. 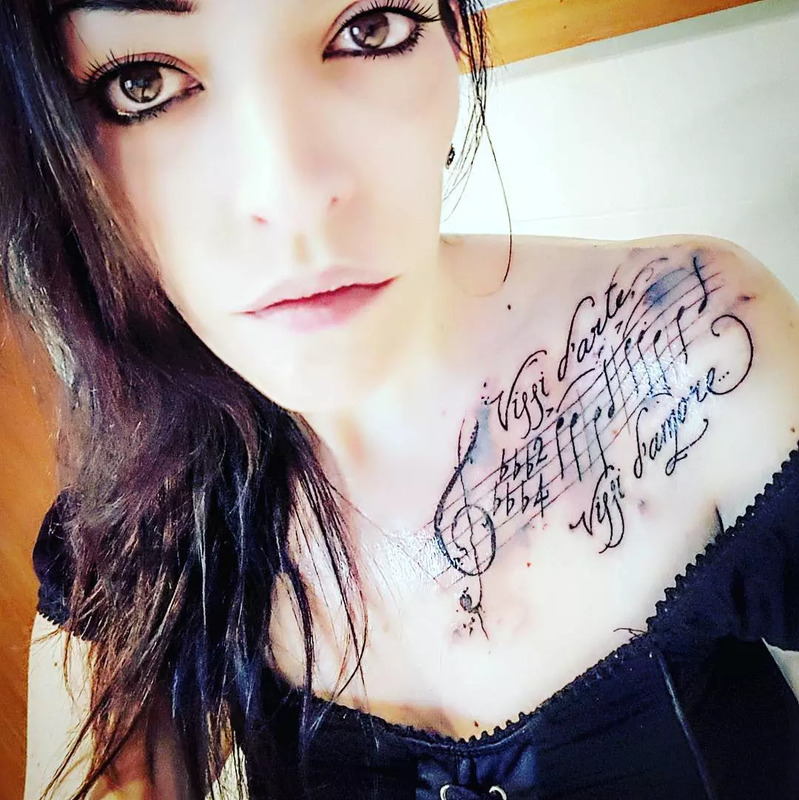 You must consider the consequence of a tattoo, especially a chest tattoo, before tattooing your body. 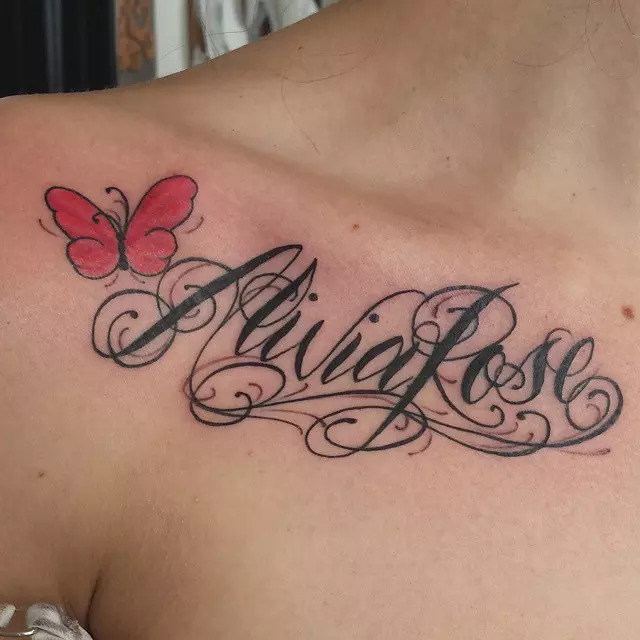 You must ensure that the chest tattoo is right for you by considering the pain and investment involved. Around 2-3 sessions are required for completing a collar bone tattoo design if it needs lots of detail ink work. 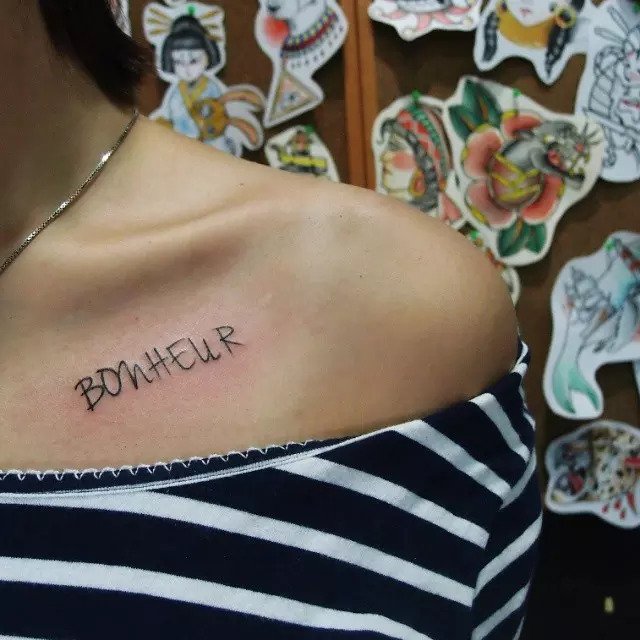 Therefore, it is better to do a thorough research before tattooing on your collarbone.